Blondi's Oasis Diner brings New York style to the nation's oldest city, St. Augustine. This restaurant and bakery offers breakfast, lunch and dinner all, day every day. 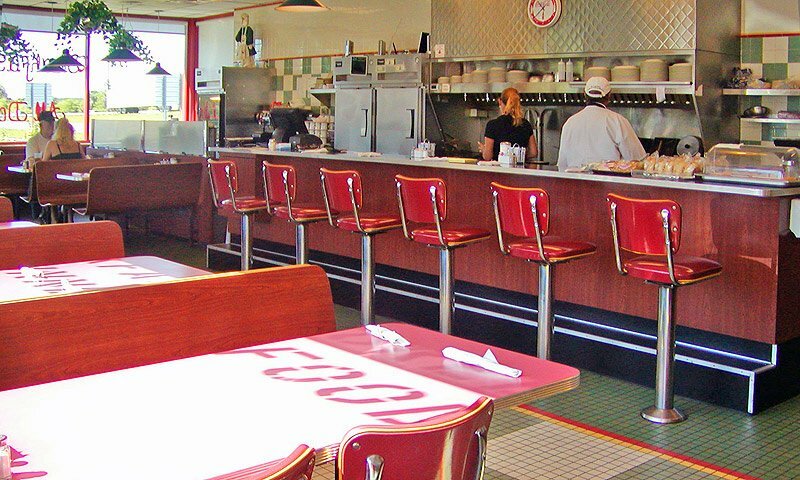 Blondi's Oasis Diner is open to accommodate guests for breakfast and lunch. They offer catering services as well, and even delivery. Here you will find it all. From authentic Greek cuisine, such as Gyros, Souvlaki Sandwich and more to Triple Decker Club Sandwiches, Burgers and of course all the favorites for breakfast. Their breakfast menu is served all day as well. Blondi's Oasis Diner offers a friendly, fun atmosphere that is great for a family sit down dinner, or a quick bite for breakfast, lunch or dinner. Their menu consists of Greek entrees, breakfast anytime, soups, salads, sandwiches, burgers, hot dogs, and Italian specialties. Located off State Rd. 16 come by Blondi's Oasis Diner for a delicious meal and great time. Be the first to Review Blondi's Oasis Diner!